It's the season for eggs! 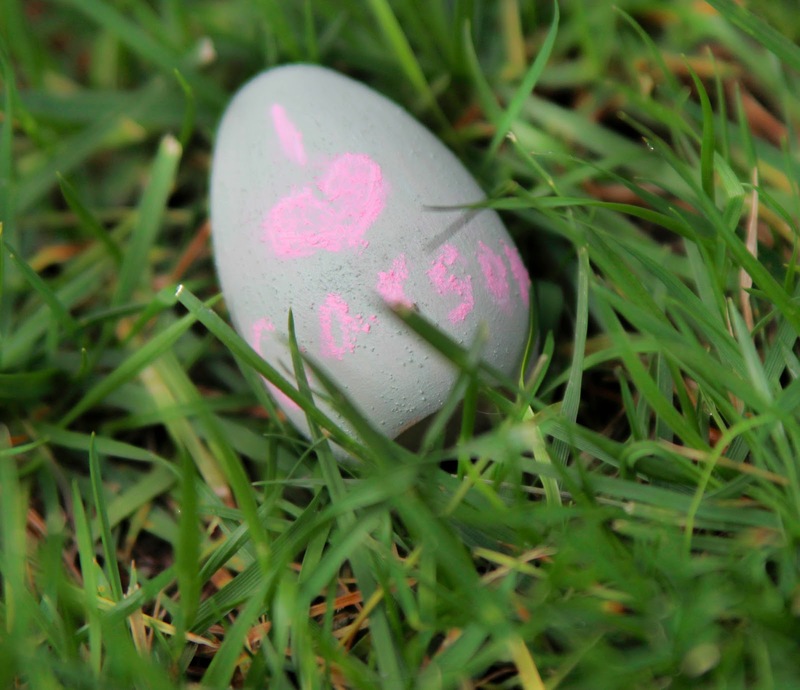 We're waiting until the last minute to color our real eggs this year. Jeff is crazy at work and we can't have all the fun without him, so we'll do it Saturday morning. 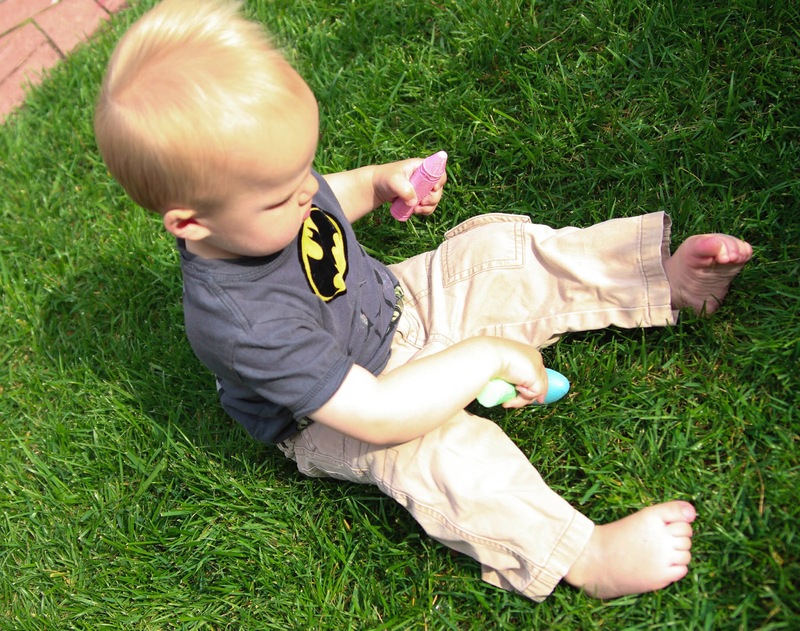 We may go the traditional route to get brightly colored eggs (seems appropriate since we're teaching Carson his colors). I tried the all natural method a couple of years ago, we had a great time, but our colors came out pretty light. However, my sister in law went this route this season and her eggs look lovely! 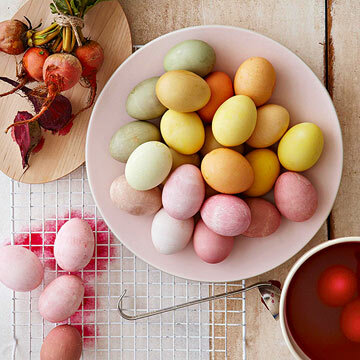 You can check them out here or read this great article, from Better Homes & Gardens, on all natural egg dye (complete with recipes). I'd definitely go this route again if we were planning to eat the eggs, but they're just for fun! Here's another bright idea. Sounds a little messy, but I'm not one to shy away from a mess. 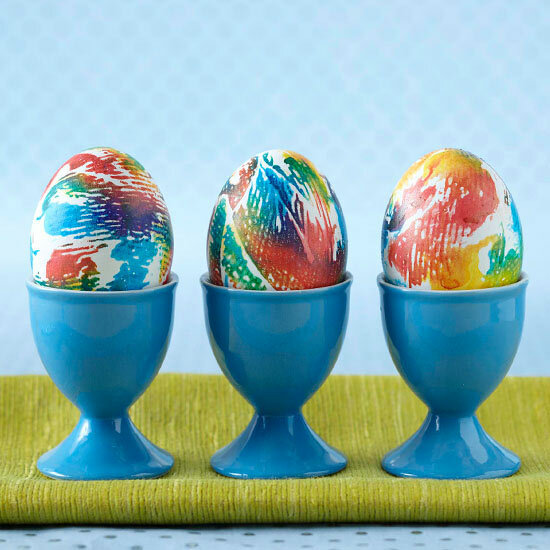 No dipping required for these beauties, just paper towels and food coloring. Here are the directions. We'll see how crazy we're feeling on Saturday. In the meantime, Carson and I did create some eggs that will last a lot longer than the real ones. we painted them with homemade chalkboard paint. They're sure providing for lots of entertainment! and doing a little holiday decorating. Chalkboard paint is super easy to make. My mom taught me how to do this WAY before chalkboards were chic. We had all the ingredients in the garage (what don't we have in the garage?) so this project was a snap. I use about a Tablespoon of grout for each 1/2 cup of paint (you don't need to be exact). You simply mix the ingredients together until the big lumps are gone and get painting. Two coats should work just fine. this is great and i will save it for future painting (egg and otherwise). 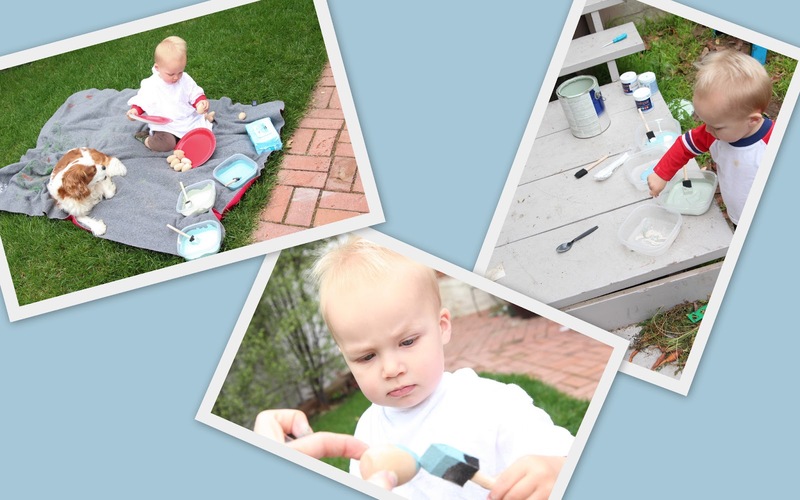 carson looks like he's having fun...Olivia and grandma had fun with the usual egg dye kit from the market.